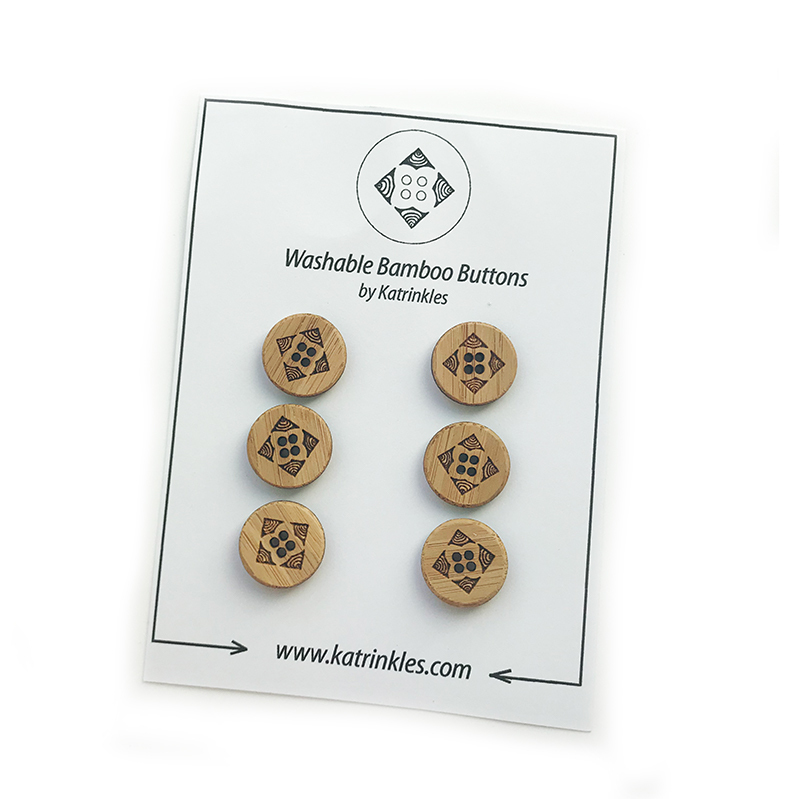 From Katrinkles, these bamboo buttons are etched with geometric images around four stitching holes. The 3/4" buttons compliment most yarns and make a great addition to cardigans, cowls, and more as they are extremely lightweight and will not weigh your garment down. The buttons are machine washable, but, like with any natural material, may last longer if they are hand-washed and/or dried flat.